MSF is convinced that the Ugandan government's focus should be on providing comprehensive, decentralized, and community-based care for TB. 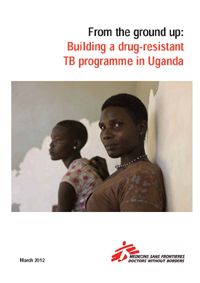 Uganda is one of the world's 22 high burden countries for tuberculosis (TB). Despite having a national treatment program for drug-sensitive TB, there has been an emergence of drug-resistant strains of the disease, which are presenting a new and urgent threat to people's health. So far in Uganda, 226 cases of multidrug-resistant tuberculosis (MDR-TB) have been confirmed, spread across 40 districts, but the true figure is likely to be much higher. Improvements in diagnostics in Uganda mean that drug-resistant tuberculosis (DR-TB) can now be diagnosed—but it can't yet be treated. As yet, there are no second-line TB drugs in the country. Until the government is able to offer treatment and care, people with drug-resistant TB will be left in limbo. Unless they can afford to leave the country and pay for treatment elsewhere, the most they can hope for is that the drugs become available in Uganda before their condition proves fatal. There is no data available for how many have already died. The best way to stop the disease from spreading is to start patients on treatment early. Aware of the urgency of the problem, the Ugandan government is taking steps to start treating DR-TB. Funding for DR-TB drugs is on its way, the drug order has been placed, and the government is planning a 40-bed ward for DR-TB patients in Mulago hospital in Kampala. However, MSF's experience of treating DR-TB in Uganda strongly suggests that centralized care is not the answer. Many patients and their caregivers from rural districts will find it impossible to manage a lengthy stay in the capital, and default rates are likely to skyrocket. 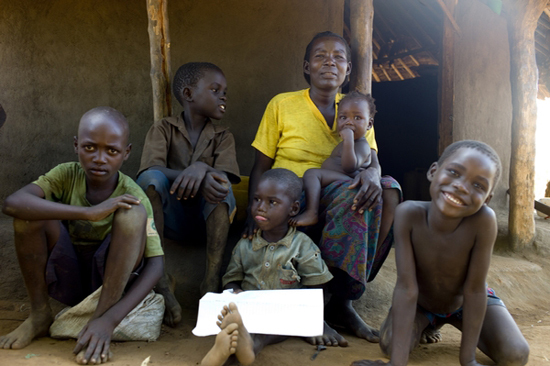 MSF firmly believes that a feasible model of care already exists in the Ugandan context. Since 2009, MSF has been running a community-based and comprehensive TB treatment program in Kitgum, in northern Uganda, hand in hand with the Ministry of Health. The preliminary treatment outcomes of the DR-TB component in Kitgum have been promising: although the number of patients in the program is small, since it began in 2009 there have been no defaulters, no treatment failures and no deaths. MSF puts the success down to the model of care they are using, which is comprehensive, decentralized, and community-based. In addition to the conventional components of care, two constituents have played a vital part: psychosocial counseling by trained counselors to support patients through their treatment; and the use of village health teams, who are trained, supervised and rewarded for their work. Community-based care has been shown to be safe, practical and extremely effective for DR-TB, leading to high adherence, close follow-up and encouraging outcomes. Patients treated within their communities benefit from the practical and emotional support of friends and family in coping with the side effects of the drugs and adhering to their treatment, while increased understanding of TB within communities leads to higher detection rates and reduced stigma associated with the disease. The model of care has proved to be feasible and widely accepted—by patients, local communities and healthcare staff alike. As the Ugandan government prepares to start treating people with DR-TB, MSF is convinced that its focus should be on providing comprehensive, decentralized, and community-based care. In this report, MSF calls on all key stakeholders to assure quality rapid TB diagnosis, treatment and care, and argues that a scale-up of the decentralized and community-based approach, including access to second-line TB drugs at district level, is the most feasible method of averting the country's impending health crisis.